We are happy to introduce our new Pediatric Dentist: Dr. Ankur Gandhi! Call to schedule your child's exam - seeing patients as young as 6 months of age. Welcome to Our Practice! New patients are always welcome. We strive to provide the highest quality dental care in a relaxed, caring, and compassionate environment. To assist you, we speak three languages! 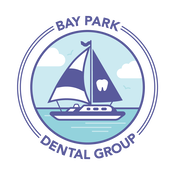 At Bay Park Dental Group, we offer comprehensive dental care, including cosmetic dentistry, veneers, Zoom whitening, Invisalign, sedation, laser dentistry and children's dentistry. Dr. Miller, Dr. Louie, and Dr. Yamaguchi are committed to providing your entire family with quality dental care. Additional specialists are available in our professional building conveniently located off of Highway 5, one exit North of Sea World. When you have dental problems, you need to turn to a dentist who listens and responds, an experienced doctor who knows the field and can effectively diagnose and treat your needs, and a friendly dentist who counsels you on the best ways to maintain and improve your health. Our dentists are committed to excellence in all of the above criteria. Plus, you benefit from a dedicated team of trained professionals who give you the individualized attention you deserve. The best care in the world doesn’t mean anything if you can’t access it. At Bay Park Dental Group, we strive to make our San Diego office as efficient and convenient as possible. Included in these web pages is information about Bay Park Dental Group’s office, including our San Diego location, maps, directions, hours, insurance policies and appointment scheduling.